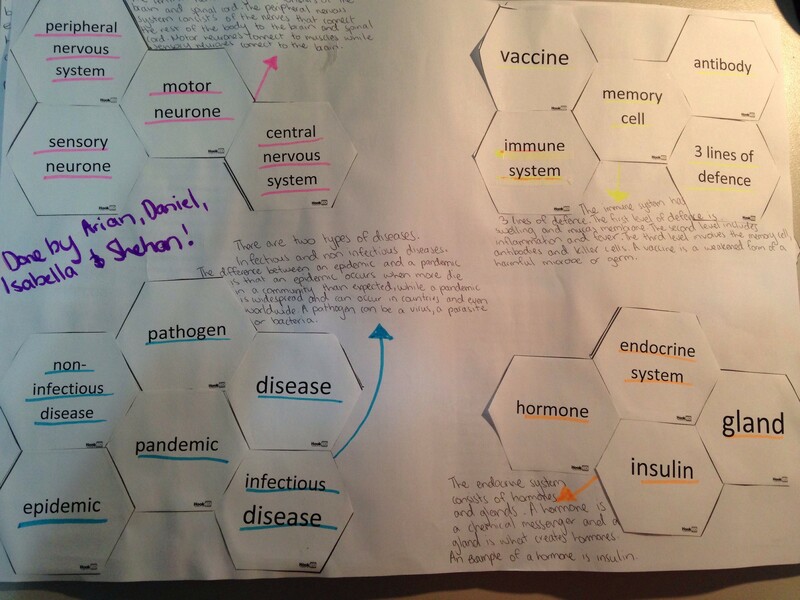 This entry was posted in assessment, learning, learning design, science, SOLO, Uncategorized and tagged education, endocrine system, hexagon, hexagons, high school science, learning, middle years, science teachers, SOLO by Alice Leung. Bookmark the permalink. Thanks for this great post Alice! I have been using the hexagons for a while now but something was missing. Your idea about the annotations has shifted my thinking along. Cheers! tony, what do you think was missing? your insights might save me from making same omissions/mistakes in developing my idea. alice, also have you read this book? http://www.amazon.co.uk/How-Teach-Plenary-Independent-Thinking/dp/1781350531 it’s short and snappy but with lots of info and ideas re: metacognition. i had to look up plenary. our education system doesn’t really enforce reflection as part of the lesson plan. so that was interesting too. 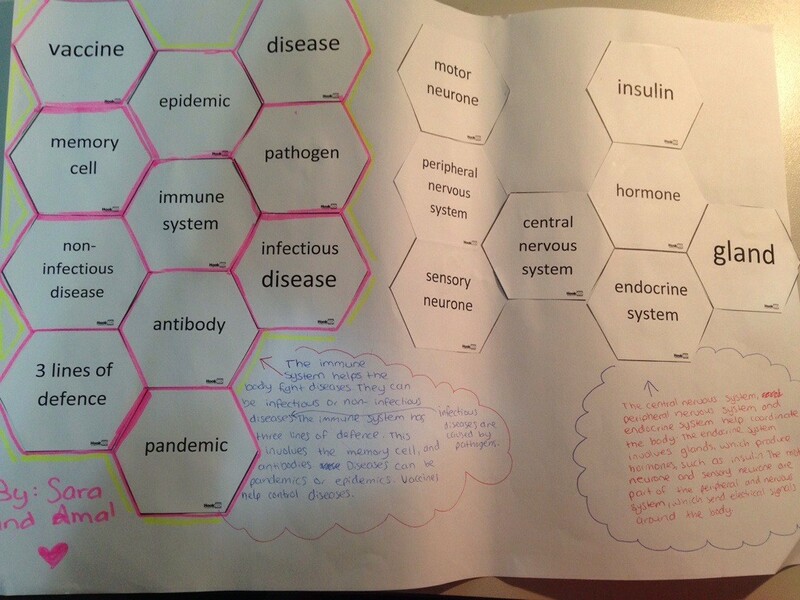 Alice I’m really interested in this, do you have any further reading on hexagons ?? 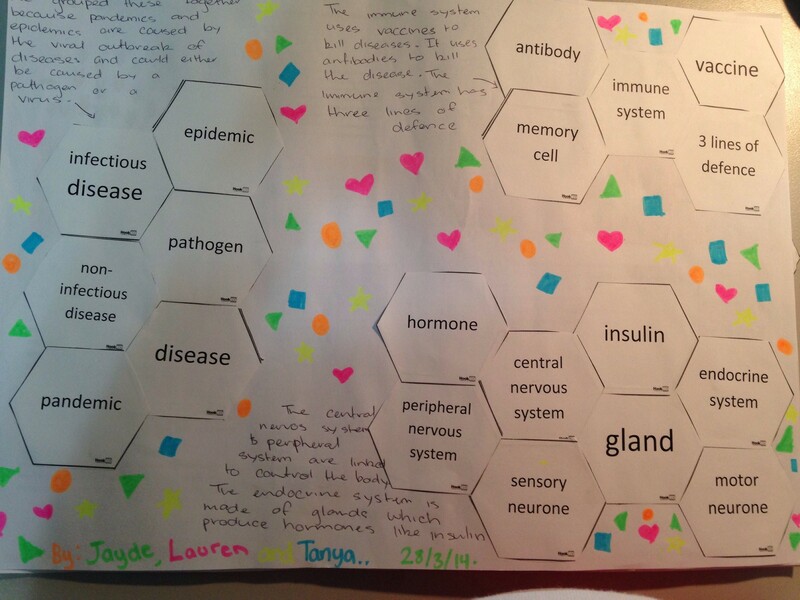 This is a really helpful post Alice – I’d heard about the SOLO taxonomy and seen you mention the hexagon activity before, but this post ties it all together and now I feel confident enough to try this with my students next week! You can keep their hexagon sheets or take photos of them as evidence. I have also recorded videos of students explaining their understand. I know some schools use apps like 3 rings on their iPads or even Evernote to assemble portfolios of a range of evidence for student progress. We’re trying it with our senior primaries today…as a pre-assessment building knowledge around and tuning into, Body Systems. Will report back!